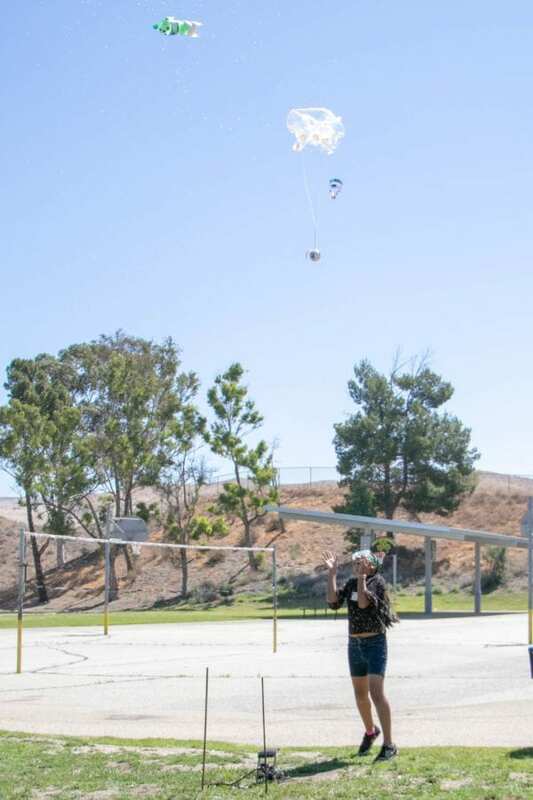 Julietta Amador from Canyon Springs Elementary school launches her bottle rocket into the sky Thursday morning. The Sulphur Springs Union School District host a summer GATE Academy at Leona Cox Community School for current 3rd, 4th, and 5th grade GATE students. Eddy Martinez/The SIgnal. 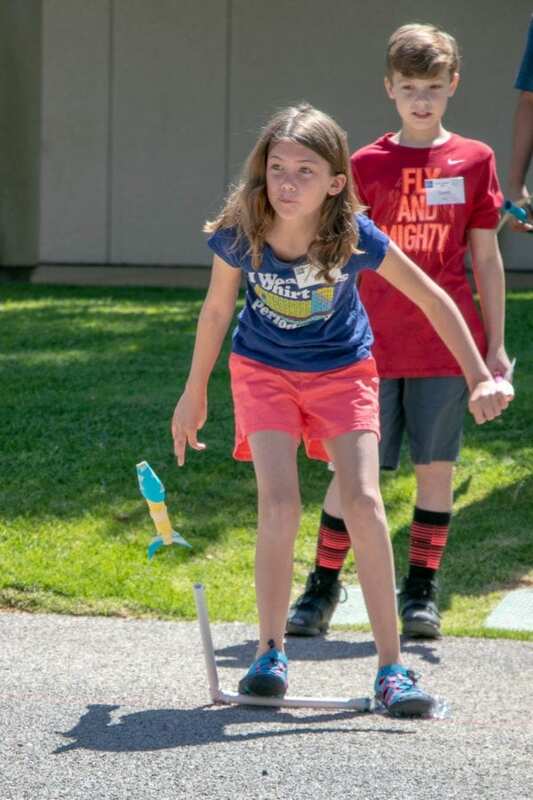 The gifted and talented students of the Sulphur Springs Union School District had the opportunity to act as engineers and launch working model rockets, helicopters and other handcrafted scientific contraptions during a three-day Gifted and Talented Education Academy. 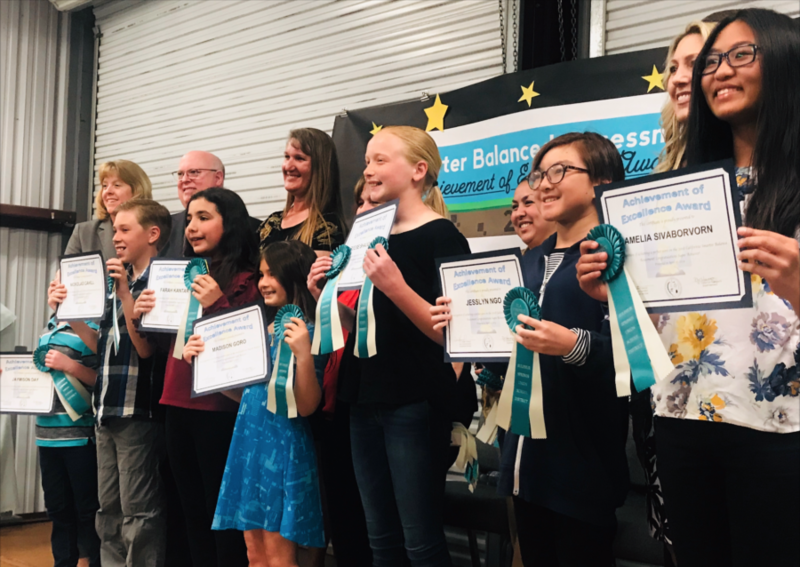 The launches were a small part of SSUSD’s GATE Academy, which provided incoming fourth-, fifth- and sixth-grade students a hands-on way to learn science by testing design concepts and other engineering principles related to aeronautics. 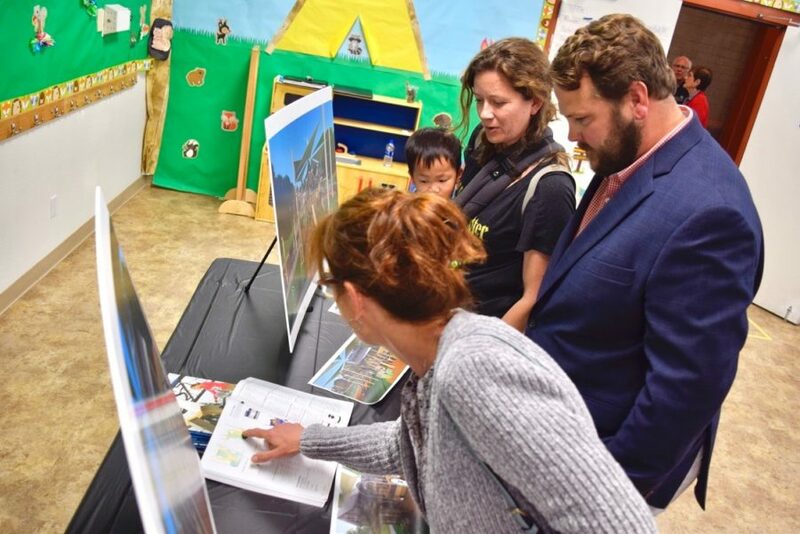 The purpose of the event was to give students an opportunity to practice engineering, Next Generation Science Standards and provide them opportunities to fail and persevere, “because oftentimes GATE kids don’t have the opportunity to do that,” said Kim Treddick, Sulphur Springs’ director of curriculum and instruction and GATE Academy coordinator. “If students learn how to work hard even when they aren’t successful,” she added, “then when they are challenged, they’ll have the confidence that they can be successful if they can find the courage to try.” During the academy, students said they were challenged to make projects based on machines created by NASA and Boeing, which helped them learn about energy, gravity and pressure. 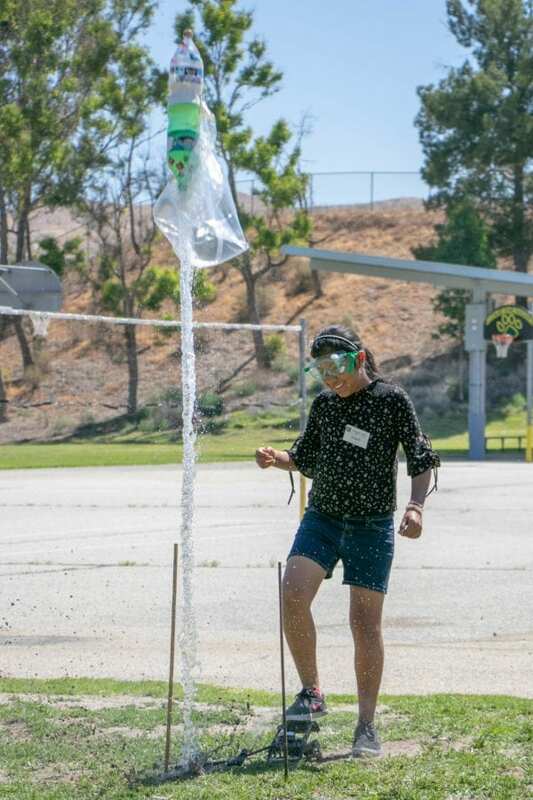 Groups of children from each school site manipulated PVC pipe, water bottles, skewers and other basic materials in an effort to construct mini turbine engines, stomp rockets and helicopters that would glide for three seconds while carrying a penny. Abigail Ortiz from Valley View Elementary School launches her bottle rocket high into the sky Thursday morning. The Sulphur Springs Union School District host a summer GATE Academy at Leona Cox Community School for current 3rd, 4th, and 5th grade GATE students. Eddy Martinez/The SIgnal. 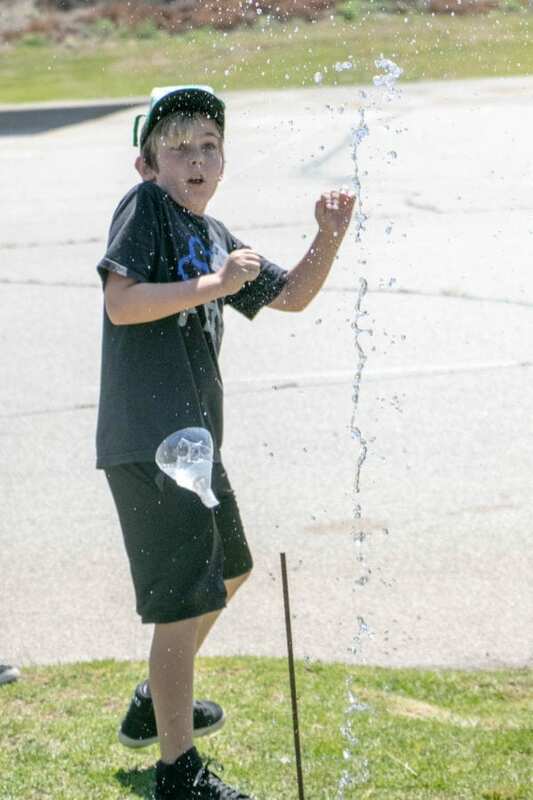 Nicolas Vince from Sulphur Springs Elementary School launches his bottle rocket into the air Thursday morning. The Sulphur Springs Union School District host a summer GATE Academy at Leona Cox Community School for current 3rd, 4th, and 5th grade GATE students. Eddy Martinez/The SIgnal. 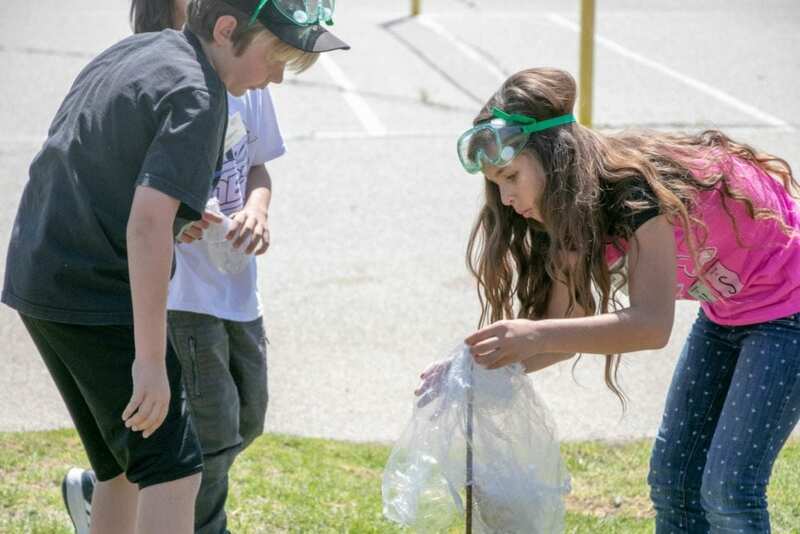 Julietta Amador from Canyon Springs and Nicolas Vince from Sulphur Springs Elementary School prepare their bottle rocket before it’s launched into the sky Thursday morning. The Sulphur Springs Union School District host a summer GATE Academy at Leona Cox Community School for current 3rd, 4th, and 5th grade GATE students. Eddy Martinez/The SIgnal. Grace Taylor from Fair Oaks Elementary School stomps her air rocket Thursday morning. The Sulphur Springs Union School District host a summer GATE Academy at Leona Cox Community School for current 3rd, 4th, and 5th grade GATE students. Eddy Martinez/The SIgnal. 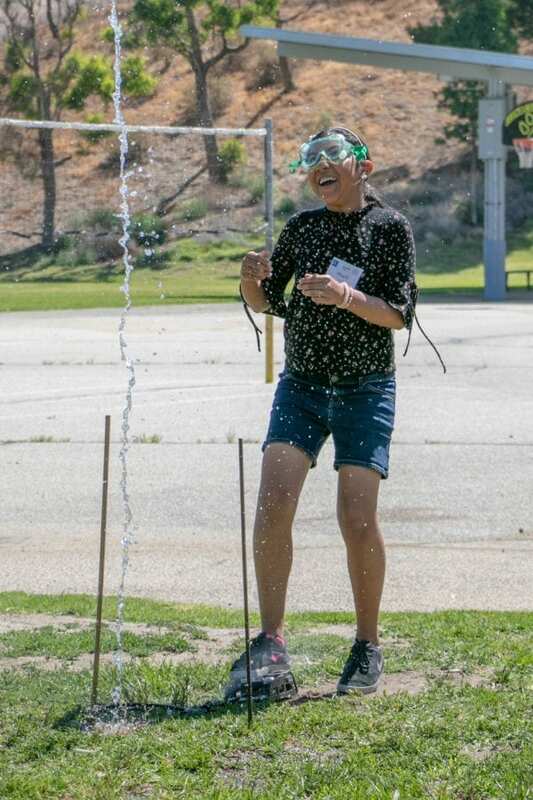 Abigail Ortiz from Valley View Elementary School launches her bottle rocket named “Pink Avocado” high into the sky Thursday morning. The Sulphur Springs Union School District host a summer GATE Academy at Leona Cox Community School for current 3rd, 4th, and 5th grade GATE students. Eddy Martinez/The SIgnal. Taegan Hardy from Valley View Elementary Shool demonstrates the air holicopter she built by throwing it into the sky Thursday morning. The Sulphur Springs Union School District host a summer GATE Academy at Leona Cox Community School for current 3rd, 4th, and 5th grade GATE students. Eddy Martinez/The SIgnal.